Americans consume too much sugar. Approximately 16 percent of the average person’s energy intake is composed of “added sugars,” which are caloric sweeteners that manufacturers add to foods to make them more desirable or that consumers add to dishes during preparation. Over the long term, excessive sugar consumption can adversely affect your health in a number of ways, from causing more cavities to raising your risk for heart disease. 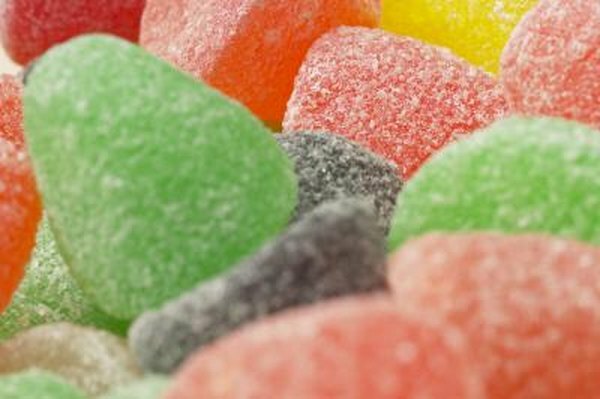 If you become shaky after eating sweets, you could be suffering from reactive hypoglycemia. Carbohydrates are an important dietary source of energy. Your body has developed efficient mechanisms for digesting carbohydrates so that your bloodstream can absorb them as rapidly as possible. Salivary amylase, a digestive enzyme produced in your mouth, begins breaking down complex carbohydrates as soon as you put them into your mouth. As carbohydrates move through your digestive tract, a series of enzymes – pancreatic amylase, sucrase, lactase, maltase and others – convert them all to simple sugars so they can be absorbed. However, if they are absorbed too quickly, sugars can cause problems. Insulin is a hormone that your pancreas produces whenever you consume carbohydrates. Insulin’s primary function is to stimulate the cells of your liver, muscles and adipose tissue to absorb glucose from your bloodstream so it can either be burned for energy or stored as fat or glycogen for future use. The more quickly your blood glucose increases in response to a meal, the higher your insulin “spikes,” and the more quickly glucose is driven into your cells. Common table sugar, or sucrose, is rapidly cleaved by sucrase into glucose and fructose, which are then immediately absorbed into your bloodstream. A sugary meal triggers a prompt and dramatic rise in your insulin level. This, in turn, evokes a rapid drop in your blood glucose concentration. As your blood glucose falls, your body produces “compensatory hormones,” such as glucagon and epinephrine, to prevent your glucose level from falling too fast and too low. These compensatory hormones stimulate your sympathetic nervous system, which causes varying degrees of shakiness, sweating, nausea, anxiety, headache, clouded thinking and palpitations. This so-called reactive hypoglycemia usually causes rebound hunger, which can contribute to overeating. Consumption of sugary foods can cause reactive hypoglycemia and shakiness in some individuals. This condition stems from an exaggeration of your normal physiologic response to consuming carbohydrates. You can avoid reactive hypoglycemia by limiting your intake of simple sugars, such as sucrose, honey or high-fructose corn syrup, particularly when your stomach is otherwise empty. Complex carbohydrates, such as those found in whole grain foods and vegetables, are unlikely to cause reactive hypoglycemia.